Daoyan Jin started his PhD in 2015 after completion of his Master Degree at Norwegian School of Economics (NHH). 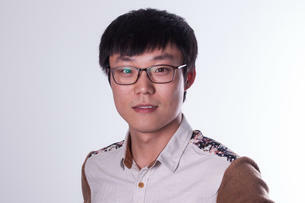 He worked as the PhD Student Representative for the Program Board in Marketing Management for 2 years. His research interests are in Marketing Strategy and Consumer Behavior with a focus on self-quantification, motivation, and consumer experience. Linking online self-service technology interactivity and customer brand engagement: The role of gamification. Presented at EMAC (2016) Poster Session. Effects of gamification on consumer online shopping experiences. Presented at Winter AMA (2017) Poster Session. Effect of quantification on vitality and enjoyment in effortful task: Moderating role of causality orientation, gender. Presented at EMAC (2017) Doctoral Colloquium. Quantification and Experience in Effortful Task: Moderating Role of Causality Orientation, Gender. Presented at ACR (2017) Poster Session/Doctoral Colloquium. Quantification, perceived competence, and task enjoyment: The moderating role of gender. Presented at CONFERENCE ON MOTIVATION (2017).